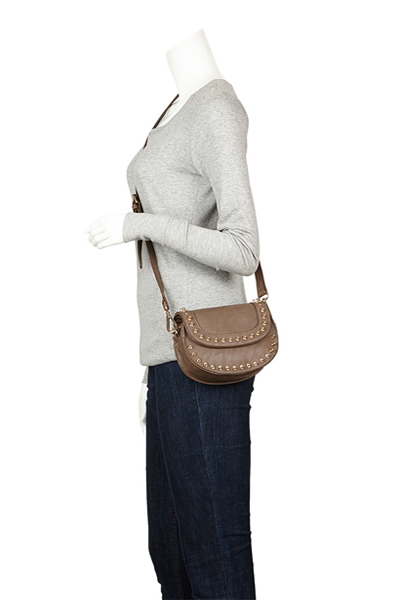 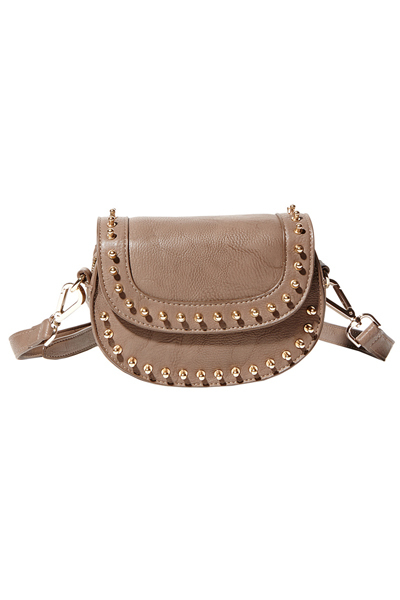 We love this Zola pin studded taupe crossbody bag by Big Buddha. 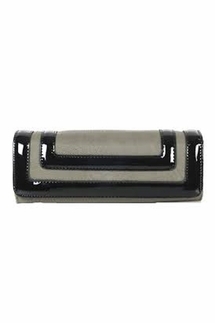 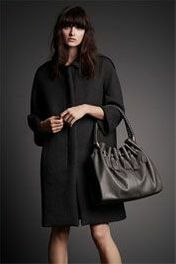 Flap closure with magnetic snap and zipper. 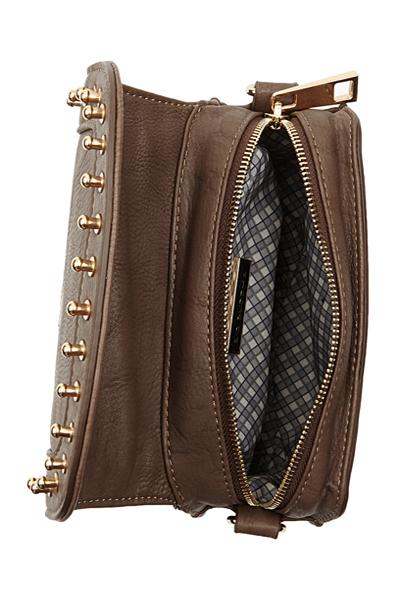 One exterior back zipper pocket and one inside zipper pocket with interior lining. 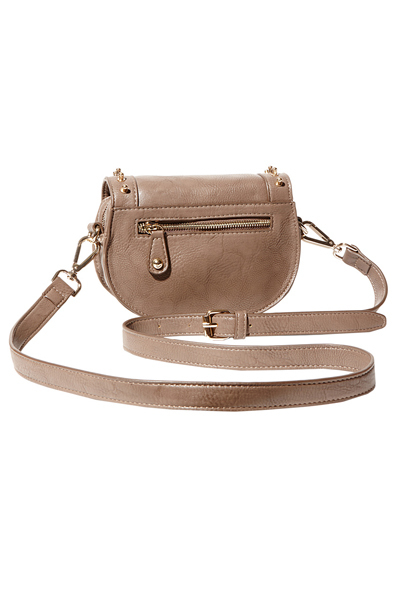 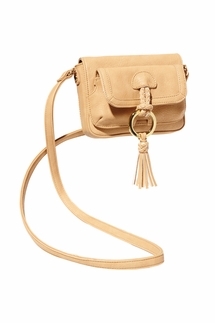 Removable and adjustable crossbody strap included. 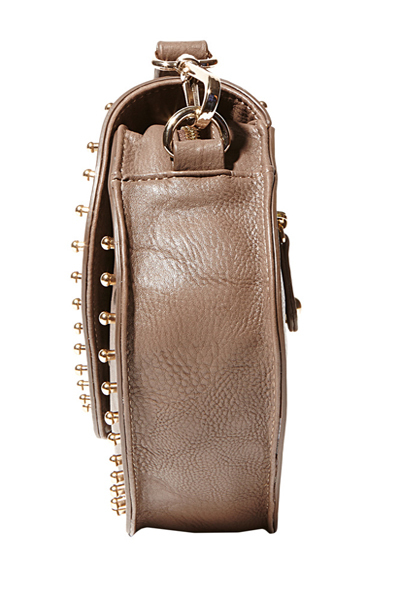 *7.5" x 5" x 2.5"